On a row of Victorian terraces, within earshot of the Arsenal stadium, our clients’ second floor flat reveals a secret world unique to London. 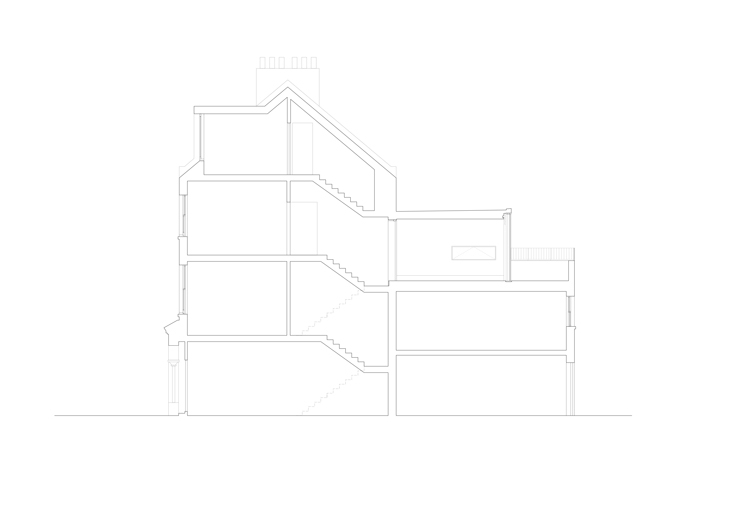 A crescent of terraced houses, back gardens, mature trees, offset windows, and rooftops. 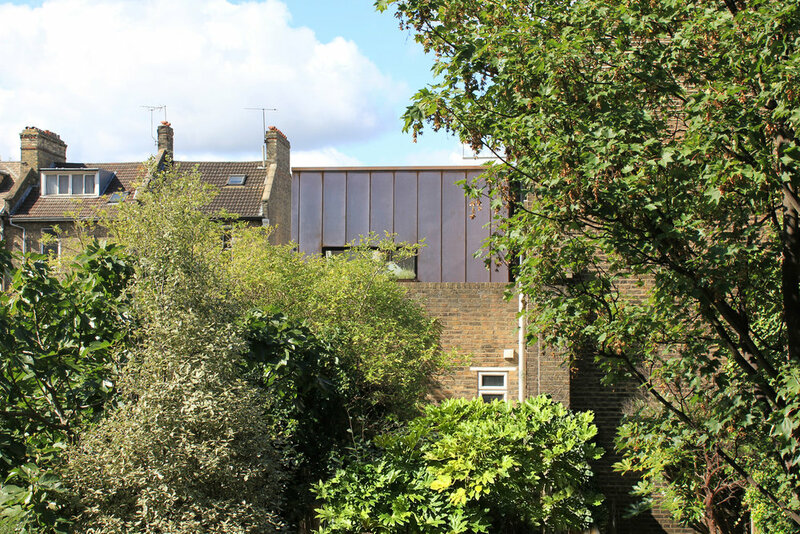 This project perches a copper clad room on top of one of these roofs - allowing the owners to inhabit this private world. 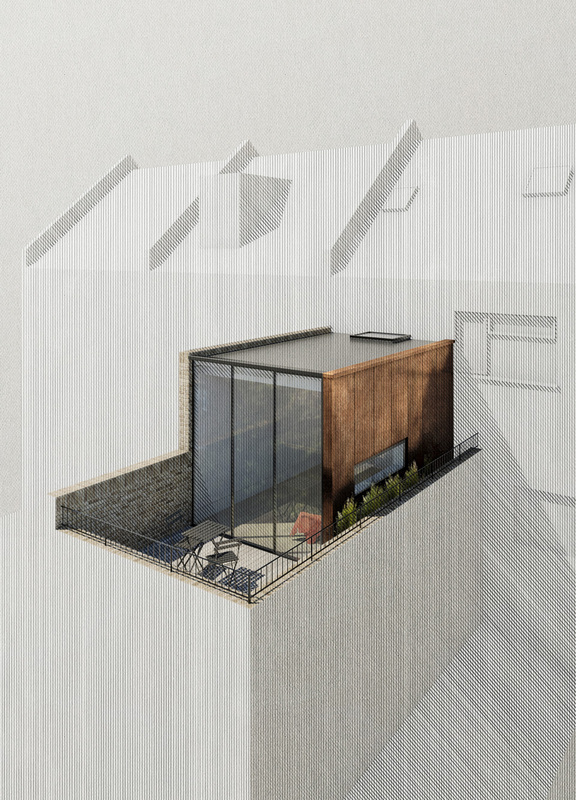 The clients, expecting their first child, needed to add space to their one bedroom flat, and a balcony on top of the existing closet wing presented the opportunity for a modest single room extension. 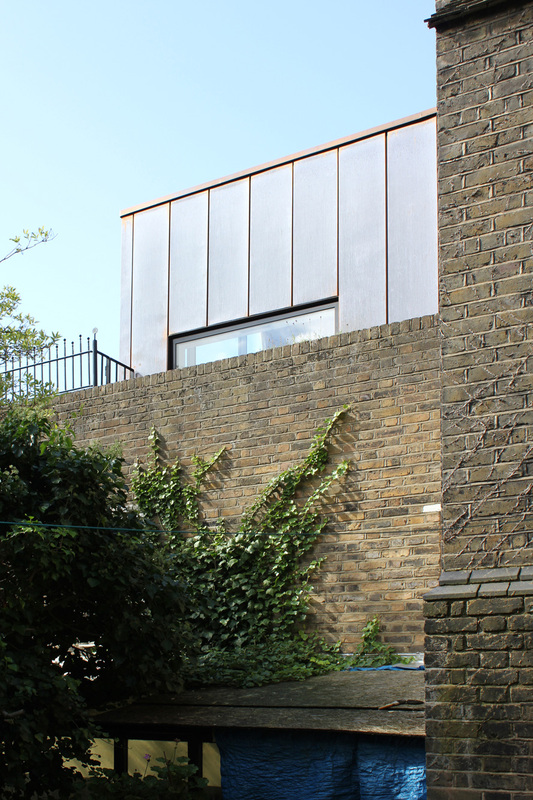 With planning limitations on it’s size and a requirement that it be of architectural merit, the extension took the form of a copper clad box to maximise space and minimise weight while providing a distinct facade which will weather and patinate with time helping the building merge into the landscape. 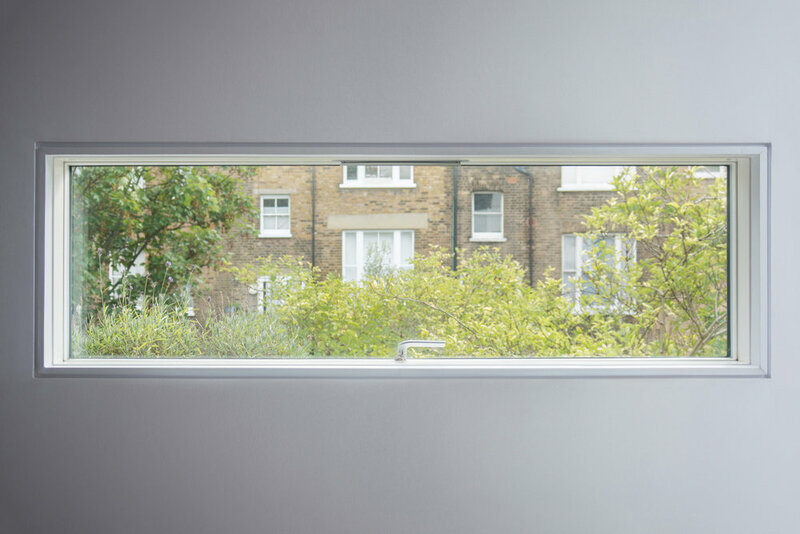 The orthoganal room and 3m tall sliding glass doors acts as a frame to the gardens beyond and opens onto a retained terrace. Placed at low level to reduce overlooking, a horizontal side window gives a glimpse of the street when seated or lying on a bed. 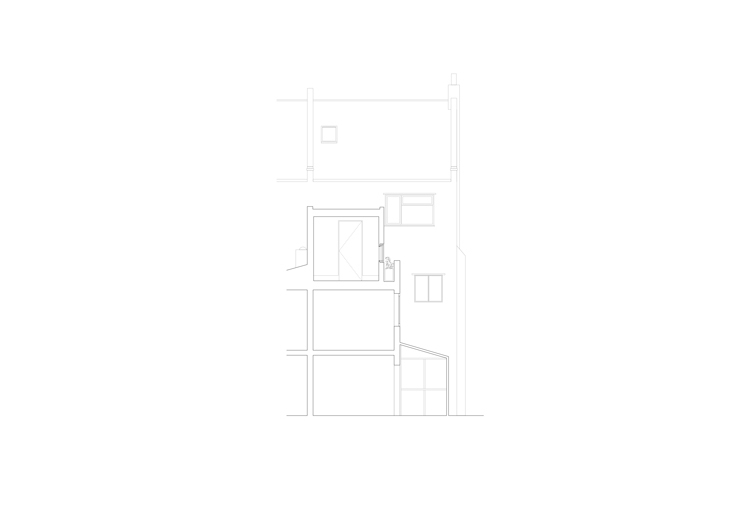 The simple shape, sharp details and lack of adornment allow the extension to supplement the rest of the flat by acting as ‘any type of room’. 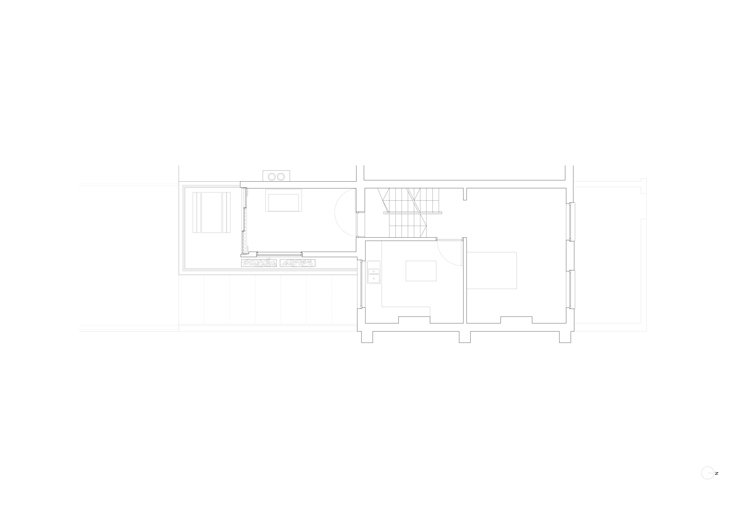 Originally planned as a child’s bedroom, on completion the room was quickly adopted as the family living room due to the quality of light and tree filled outlook, despite being the smallest room in the flat.